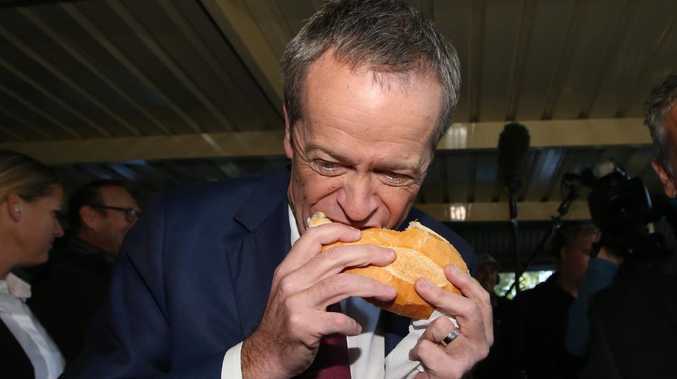 FAMILIES are being warned to prepare for a meat tax that will make "spaghetti bolognese as expensive as a steak" and turn the "Aussie meat pie into an endangered species" under Labor's ambitious plan to cut carbon pollution. 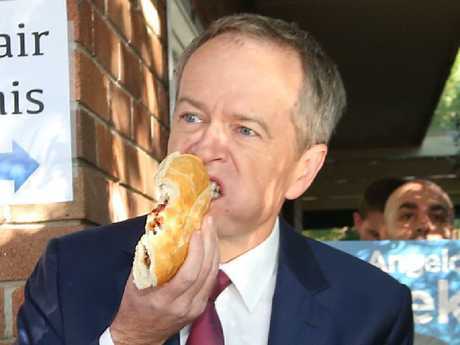 The cost of thin barbecue sausages are projected to increase by 90 per cent alone, and a beef family roast by almost 40 per cent, costing almost $20 a kilogram if agriculture is captured under Bill Shorten's policy. 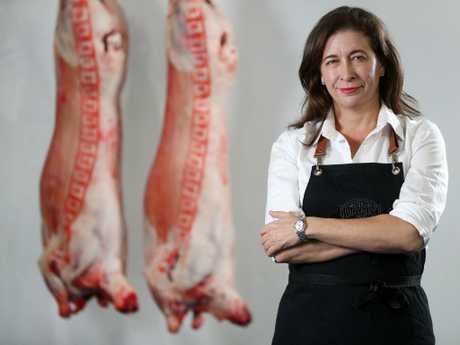 Managing director of Super Butcher and the LNP's Senate candidate at the next election, Susan McDonald, has demanded Bill Shorten tell voters how much his plan will cost businesses and family budgets. Many butchers have very high electricity bills because of their cold rooms. It comes as Energy Minister Angus Taylor tells The Courier-Mail that Labor's plan to cut carbon emissions by 45 per cent in 10 years cannot be done by just reducing pollution from the electricity sector. Almost every day Mr Shorten has been asked but refused to answer how he will meet his three-year-old plan to cut carbon emissions by 45 per cent on 2005 levels by 2030. It is separate to Labor's 50 per cent renewable energy target. Labor's agricultural spokesman Joel Fitzgibbon said agriculture would be exempt from any carbon pollution mechanism, but Mr Shorten and his climate change spokesman Mark Butler have repeatedly refused to reveal their plans. Mr Shorten said he would reveal details soon. Mr Butler last week directly refused to answer if farmers would be forced to reduce the methane production of their livestock or forced to reduce livestock numbers. Mr Taylor said that the electricity sector only made up about 30 per cent of Australia's emissions so it would be "impossible" for Labor to meet its 45 per cent target by just targeting the electricity sector. "Independent modelling shows Labor's 45 per cent emissions reduction target will drive up wholesale electricity prices by 58 per cent," Mr Taylor said. "As a butcher tackles high energy costs thanks to Labor's reckless targets, those costs will be passed on to the price of meat to keep the business viable." Northern Australia Minister Matt Canavan, whose local office is in Rockhampton, said that Labor's plan to tax red meat would be "bad news for Rocky'', well known as the beef capital. 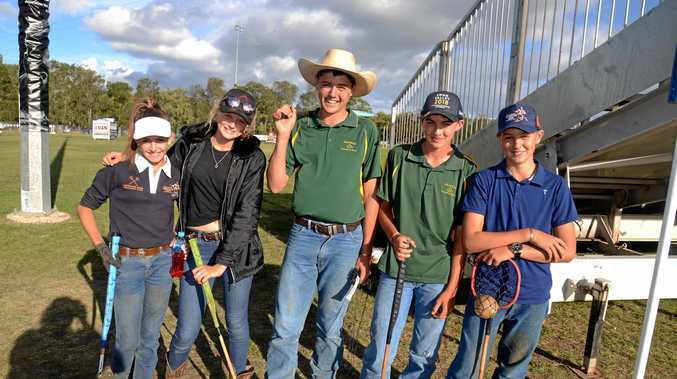 "Beef from Central Queensland will be taxed while beef from overseas will be tax free. "Labor can't meet its emissions reductions targets without including agriculture and that's why Bill Shorten refused to rule it out this week." Independent economist Brian Fisher, who has worked for Labor and the Coalition, released six scenarios on how Mr Shorten could reach his targets. Each had a significant cost to the economy. Using a scenario where Kyoto credits would be carried over, meaning the cost wouldn't be as high, there would be a high cost to meat prices if agriculture is included in any reduction plan. Senator Canavan said Labor had not released modelling to show what its policy would mean for the economy and jobs. Ms McDonald said Mr Shorten needed to be honest with Queenslanders about the cost of living implications under his plan. "If the price of the family meal is going to go up, then it's only fair that mums and dads are told," she said. "That's important to know at the ballot box when people make a choice about what price they will pay for Labor's agenda. "A methane tax makes the family spag bol on Tuesday night as much as steak night now. Mr Fitzgibbon accused the LNP of a scare campaign. "The Labor Party policy for some time has been to exempt agriculture in Australia from any carbon pollution reduction mechanism," Mr Fitzgibbon said. "Labor is not considering changing this approach and we will continue to ignore the shrill scare campaign from the LNP. "Labor has already announced a detailed energy plan that explains how we will achieve emission reductions in the crucial electricity sector. "The balance of our policies will be announced before the election."